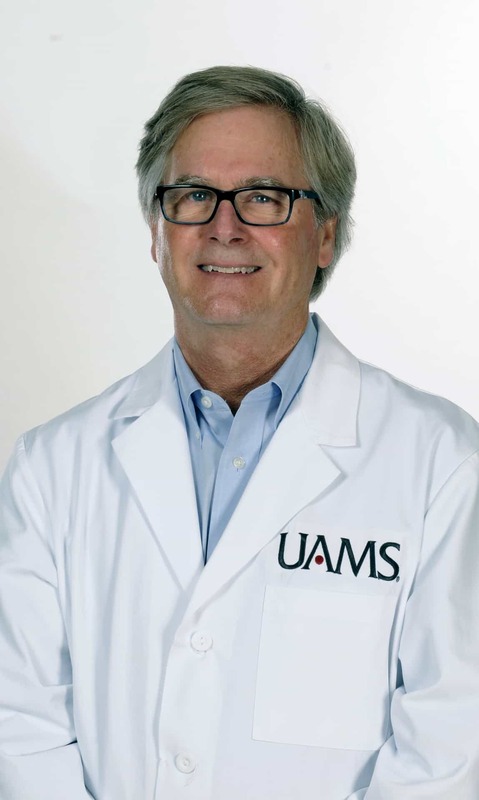 Jan. 23, 2017 | Jan. 23, 2017 | G. Thomas Frazier Jr., M.D., has joined the University of Arkansas for Medical Sciences (UAMS) as a hand and upper extremity surgeon. He will see patients at the UAMS Orthopaedic Clinic on Shackleford Road. “Dr. Frazier and I have been friends and colleagues for more than 30 years and were founding members of a subspecialty fellowship-trained private practice group. Tom brings welcome expertise to our faculty, widening the scope of what we are able to offer in care for our patients and training for our residents. His status in the medical community of our state and his decision to join our transformation sends a very positive message that we are on the right track,” said C. Lowry Barnes, M.D., professor and chairman of the Department of Orthopaedic Surgery. G. Thomas Frazier Jr., M.D. Frazier specializes in hand and microsurgery and has a special interest in joint replacement of the hand, wrist and elbow, and joint arthroscopy for the elbow and wrist, minimally invasive surgeries in which a tiny camera is inserted into the joint through a small incision, thereby avoiding traditional open surgery. 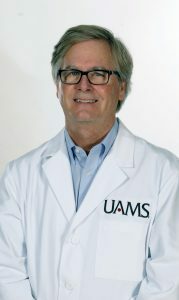 Frazier earned his medical degree at UAMS, where he also completed his residency in orthopaedic surgery and a fellowship in hand and microsurgery. He has been practicing in Little Rock for 28 years. He graduated from Hope High School and earned his undergraduate degree from Hendrix College in Conway. He is board certified by the American Board of Orthopaedic Surgery and the American Academy of Orthopedic Surgeons, with a certificate of added qualifications in hand surgery. Frazier is a member of the Southern Orthopaedic Association, Arkansas Orthopaedic Society, Arkansas Medical Society, Pulaski County Medical Society, American Academy of Orthopaedic Surgery, Arkansas Hand Club, Mid-America Orthopaedic Association and American Society for Surgery of the Hand.